Translation: Rev. Milo Mahan, D. D.
1. Wonderful night! Wonderful night! Fling out their banners of light! 2. Wonderful night! Wonderful night! 3. Wonderful night! Wonderful night! 4. Wonderful night! Wonderful night! 5. Wonderful night! Wonderful night! 6. Wonderful night! Wonderful night! 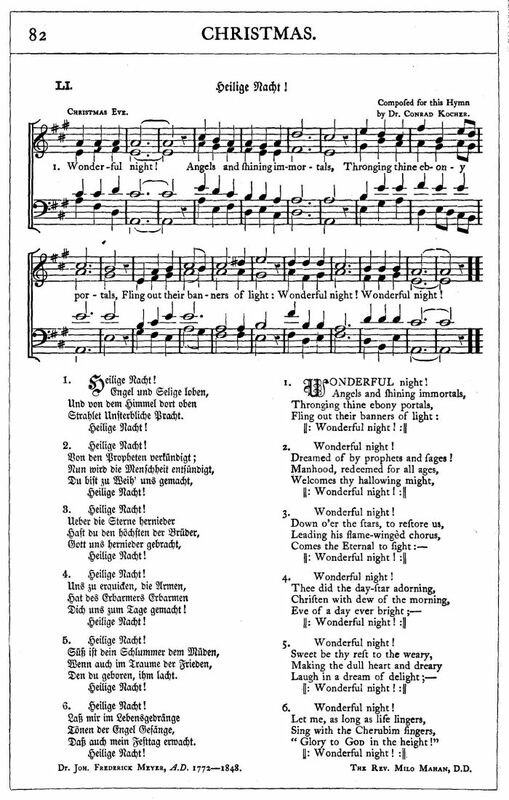 "Glory to God in the height,"
A. 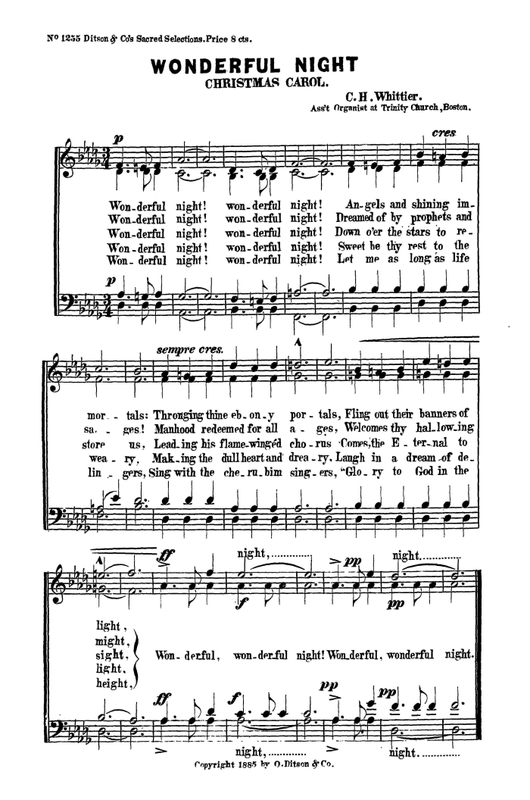 B. Goodrich, A New Service And Tune Book For Sunday Schools (New York: Gen. Prot. Episc. S. S. Union and Church Book Society, 1863, New Edition, Enlarged, 1866), #151, p. 140. 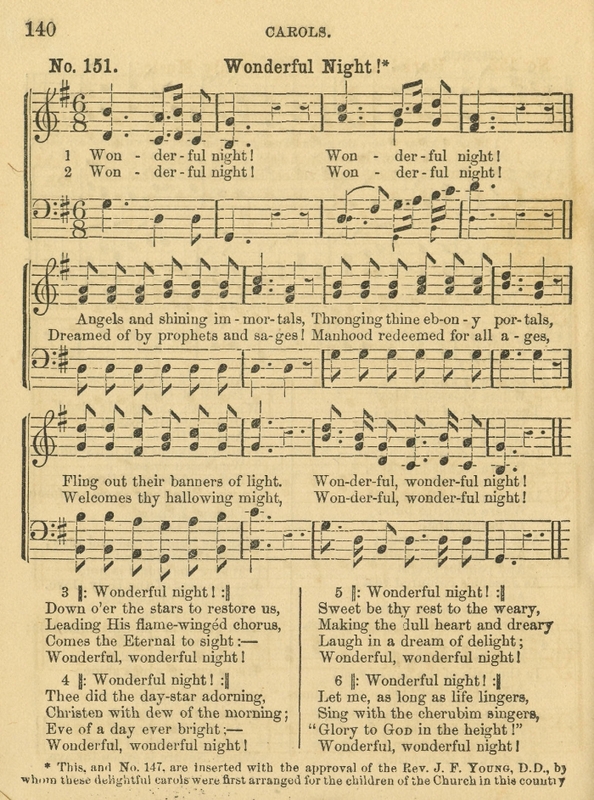 Sheet Music "Christmas Eve" by Dr. Conrad Kosher from J. H. Hopkins, ed., Great Hymns of the Church Compiled by the Late Right Reverend John Freeman Young (New York: James Pott & Company, 1887), #51, p. 82. 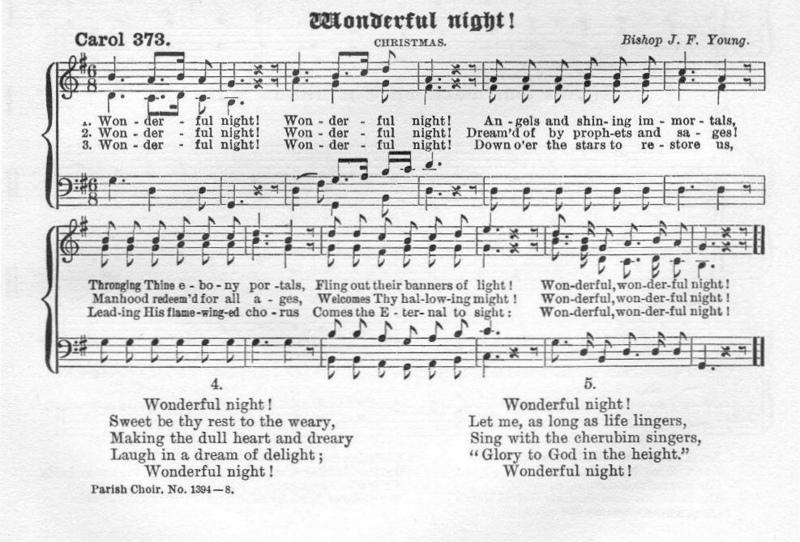 I had previously been under the mistaken impression that Bishop John Freeman Young had been the author of the hymn "Wonderful Night." 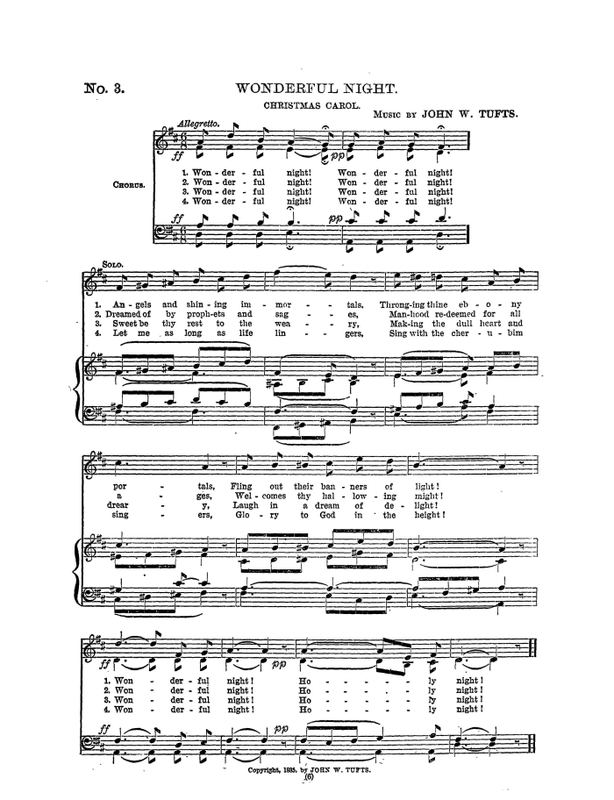 However, in Great Hymns of the Church (J. H. Hopkins, ed., New York: James Pott & Co., 1887), credit for the lyrics is given to Dr. Joh. Frederick Meyer (1772-1848); the translation was provided by the Rev. Milo Mahan, D. D.; the tune "Christmas Eve" was composed by Dr. Conrad Kocher.